Charged with Computer Crime in Colorado? 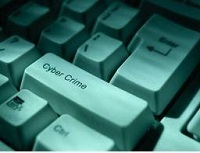 With the advent of increasingly advanced technology, a growing number of people have been charged with computer crime. As technology becomes an even more important factor in our daily lives, it’s important to clearly understand what constitutes computer crime and what you should do if charged with this offense. 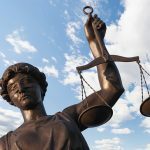 As a Boulder criminal attorney with years of experience in prosecution as well as defense, Phil Clark can help you explore your options if charged with this or a different offense. Computer crime is defined as the use of a computer to take or alter data, or to gain unlawful use of computers or services, while hacking is the deliberate and unauthorized access, use, disclosure, and/or taking of electronic data on a computer. It’s best if you keep from answering any questions from law enforcement officials until you have contacted a criminal defense attorney for counsel. A skilled and experienced attorney can inform you of the most recent legislation concerning computer crime, and give you the advice you need to make the best decisions while interacting with police. If you have been charged or suspect you may be charged with any of the above offenses, contact a criminal defense lawyer immediately. Our offices can provide you with knowledgeable and caring counsel on what steps to take next. In recent years, sentencing for computer crime has become harsher—you need an attorney with the ability to protect your assets and your future. The wide selection of Boulder attorneys may make your choice seem daunting. Contact Phil Clark at (303) 444-4251 for a free consultation from a criminal lawyer in Boulder, Colorado. For more information on this charge, or for a Colorado marijuana defense attorney or DUI attorney in Boulder, Colorado, go to philclarklaw.com.